I wrote already about the trial that should have started in New York last week against Royal Dutch Shell for the killing of seven Nigerian activists, including the writer Ken Saro-Wiwa. It was suddenly suspended and then... magically... settled. Shell didn't want to go to court, it would have been too dangerous for its reputation to have Nigerians revealing dirty details of its activities in the Niger Delta. It was easier to pay 15.5 millions and avoid witnesses to explain openly how oil companies pollute, destroy and kill in almost every country they operate in. After more than a decade struggling, the plaintiffs consider the settlement a real victory: "This shows that corporations cannot act without accountability” said Jennie Greene, a lawyer with the Center for Constitutional Rights, which brought the case on behalf of the plaintiffs. I am not so sure about it. The 15.5 million dollars are peanuts for a company as big as Royal Dutch Shell and it won't make any difference in the polluted and violent landscape in the Niger Delta. Although it's true that it's a symbolic precedent in the fight against corporate impunity, I agree with El malcontento, "it's a scandal that they sign a check and get free of responsibilities" (in Spanish). But maybe there is hope. 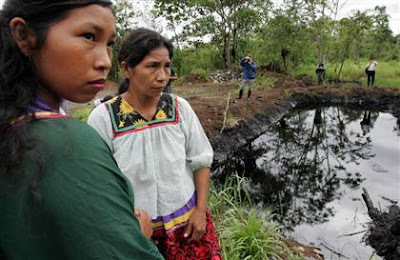 Another similar case is actually in development in Ecuador against Chevron-Texaco. An Ecuatorian lawyer representing 30,000 people is fighting alone against the monster. The battle between the indigenous communities in the Ecuadorian Amazon (nearly destroyed by oil drilling) and Chevron started 16 years ago. 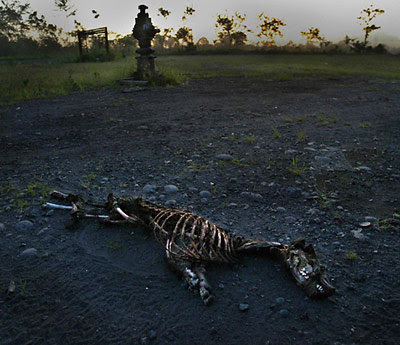 The lawsuit alleges that Texaco, which was acquired by Chevron in 2001, unleashed 18 billion gallons of toxic wastewater across an estimated 1,700 square miles of rainforest (check ChevronToxico web for details) . Plaintiff's lawyers say Texaco's dumping represent 30 times more than the crude spilled in the 1989 Exxon Valdez disaster in Alaska. Hundreds of people have died of cancer and thousands are sick. According to a report by a court-appointed expert, Chevron could face $27 billion in damages. That's not only real money, it would be an unprecedented victory for environmentalists and local communities alike. Unfortunately, Chevron has also the money to make this process as long and as tortuous as possible so the sentence could still take years. If you are curious about this case you should see the documentary Crude, (playing in New York on June 13 at the Human Rights Watch Festival) by director Joe Berlinger (director of great titles such as Paradise Lost and Metallica: that kind of monster). Crude is quite good although it probably pays too much attention to Trudi Styler, one of the celebrities who has embraced this cause. In the other hand, the involvement of stars in this fight has brought lots of attention to their lawsuit and recently even 60 Minutes did a story on it. I don't know how to feel about celebrity-activism but it seems that lately journalists take an interest in forgotten stories only when there is a famous face behind so, I guess in this case we have to thank Sting??? 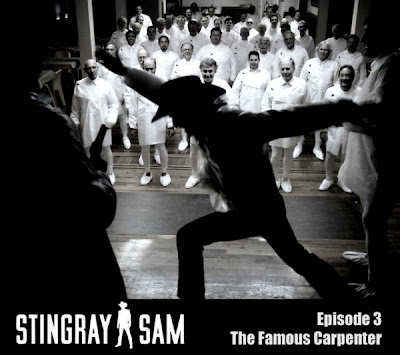 Stingray Sam is a name every film lover should know by heart. If the director of this surreal, smart and wonderful movie was named Robert Rodriguez, Stingray Sam would be already a cult movie. Don't worry, cult followers like myself are already working on it. The director's name -and main actor- is Cory McAbee. He might have a budget 100 times smaller than the one of the famous ex-indie director and none of his popularity but even if McAbee could eventually envy his pal budget, he has no need to envy his talent: he's got tons of it. And sooner or later the film world will know it. Talent means to be able to transform any plot, even the most impossible one, into a very good movie. 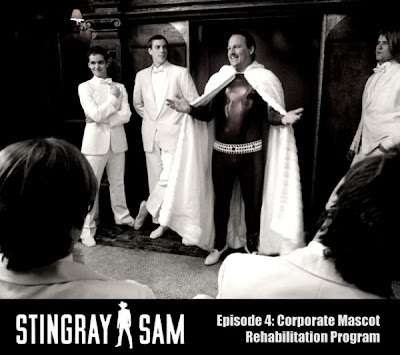 Get this: (as it says in its website) "A dangerous mission reunites STINGRAY SAM with his long lost accomplice, The Quasar Kid. Follow these two space-convicts as they earn their freedom in exchange for the rescue of a young girl who is being held captive by the genetically designed figurehead of a very wealthy planet". It's format it's interesting too: it's done in six chapters that are independent from each other, but whose connection follows the style of serials of the 50's. 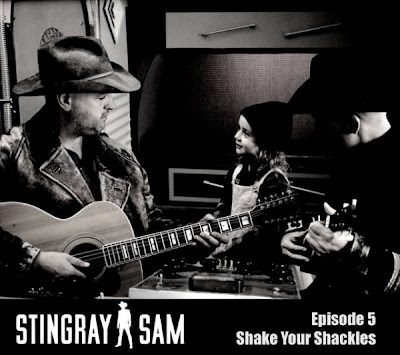 Small screenings like mobile phones will be perfect recipients for Stingray Sam. To be fair, I have to confess that the line is not mine. "Hugo Chavez is the Oprah of the left" was the only interesting quote that Lawrence Weschler, a journalist from The New Yorker, said last week during a conversation -it should have been called a monologue- with Eduardo Galeano at the New York Society for Ethical Culture. The encounter was organized to mark the publication of Galeano's new book, Mirrors: Stories of Almost Everyone. Since Hugo Chavez recommended to Barack Obama to read Galeano's classic title 'Las venas abiertas de America Latina' (and gave him the book), the Uruguayan writer has become a best-seller in the USA. The same thing happened after Chavez recommended to the whole world to read Noam Chomsky´s Hegemony of Survival during a speech at the UN in 2006. That book, published three years earlier, climbed best-seller lists at Amazon overnight. 'It's the best way to sell books, to have them featured in the Oprah show', said recently Carolyn Reidy, CEO of Simon and Schuster. Hugo Chavez is definitely taking Oprah's place when it comes to left-wing writers. So, in part thanks to Chavez, Galeano visited New York and before a full house of his readers, the writer read a few fragments of 'Mirrors...'. Then, he was unsuccessfully 'interrogated' by Weschler. Early on it became quite clear that Weschler questions didn't seem to please Galeano. "If you had to recommend to Chavez or Obama one book, which one would you choose from all the books that you have read?" The answer: "It's very dangerous to read only one book". It was a real pleasure to listen to Galeano. He was, in fact, the conductor of a conversation that was mainly a sharp, sweet, tough and ironic monologue about all the things he is been always concerned with: inequalities, injustice, Latin America, the underdogs... I would rather give you Galeano himself than trying to reproduce what he said. The video up there is just Galeano reading a timeless piece in Spanish sometime ago . This one is a link to the New York event I talked about, good sound, bad image (but we are talking about words, right? ), in English. Courtesy of Hugo Chavez. Dear Hugo, who's next?